Notka: wydaje mi się, że post nie jest spoilerowy, ale jeśli ktoś na spoilery jest szczególnie wrażliwy, to uczulam, że niektóre cytaty pochodzą z dalszej części książki. Poza tym wszystkie fragmenty są, niestety, po angielsku z tej prostej przyczyny, że mam Strange the Dreamer tylko w oryginale i pewnie tak zostanie. Lazlo od dzieciństwa jest zafascynowany historią niezwykłego, zaginionego miasta - Szlochu (Weep). Dziwna legenda zdawała się nie interesować nikogo innego - skąd zatem czerpać wiedzę? 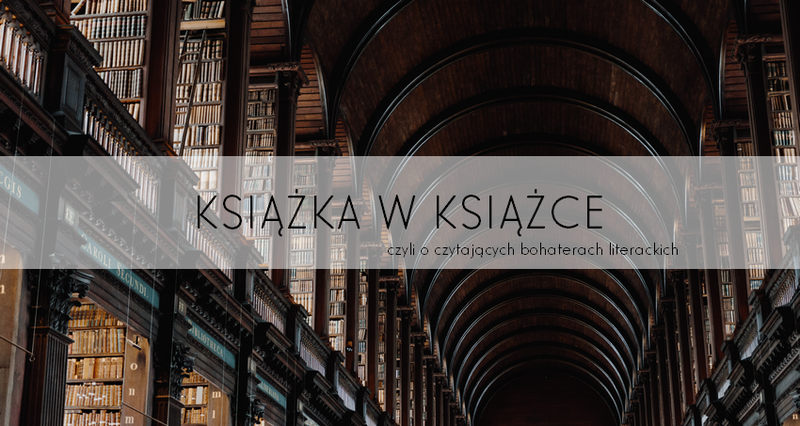 Niech żyją książki, niech żyją biblioteki! The books under the dust, they were stories. Folktales, fairy tales, myths, and legends. They spanned the whole world. They went back centuries, and longer, and whole shelves of them - entire, beautiful shelves - were stories of Weep. He lifted one down with more reverence than he'd ever felt for the sacred texts at the abbey, blew off the dust, and began to read. Laini Taylor, Strange the Dreamer, s. 16. "The library knows its own mind," old Master Hyrrokin told him, leading him back up the secret stairs. "When it steals a boy, we let it keep him." Lazlo couldn't have belonged at the library more truly if he were a book himself. In the days that followed - and then the months and years, as he grew into a man - he was rarely to be seen without one open in front of his face. He read while he walked. He read while he ate. The other librarians suspected he somehow read while he slept, or perhaps didn't sleep at all. On the occasions that he did look up from the page, he would seem as though he were awakening from a dream. "Strange the dreamer", they called him. "That dreamer, Strange." And it didn't help that he sometimes walked into walls while reading or that his favorite books hailed from that dusty sublevel where no one else cared to go. He drifted about with his head full of myths, always at least half lost in some otherland of story. Demons and wingsmiths, seraphim and spirits, he loved it all. "So many books," she said, awed. "I never knew there were this many books in all the world." "What's in them all?" she asked. "In this room, they're all philosophy." "This room?" She turned to him. "There are more?" He smiled broadly. "So many more." He nodded, proud, as though he'd made them all himself. "Would you like to see my favorites?" O, no właśnie, to mi się podoba - Lazlo nie wygląda na stereotypowego bibliotekarza. Jest mocno zbudowany, ma ostro ciosaną twarz, złamany nos... Bohaterka, gdy widzi go pierwszy raz, stwierdza, że wygląda jak brutal. Z wyglądu - bardziej zabijaka niż łagodny mól książkowy. No ale pozory mylą. A skąd ten złamany nos? Sami przeczytajcie. "Oh, hello," he said, reaching for it. He brought it down: a huge tome bound in pale-green velvet with a filigreed layer of silver scroll-work laid over it. "This," he said, passing it to her, "is the villain that broke my nose." When he released it into her hands, its weight almost made her drop it in the snow. "This?" she asked. "My first day as apprentice," he said, rueful. "There was blood everywhere. I won't disgust you by pointing out the stain on the spine." "A book of fairy tales broke your nose," she said, helpless not to smile at how wrong her first impression had been. "I supposed you were in a fight." Marzyciel, jak sądzę, nie jest zupełnie bez wad, a jednak jakoś mnie ujął. To po prostu magiczna opowieść. Laini Taylor ma wiele dobrych, pięknych pomysłów, jej świat czaruje, bohaterowie dają się lubić. Dużo tu książek, dużo intrygujących opowieści, dużo niezwykłych snów. I dużo marzycieli.